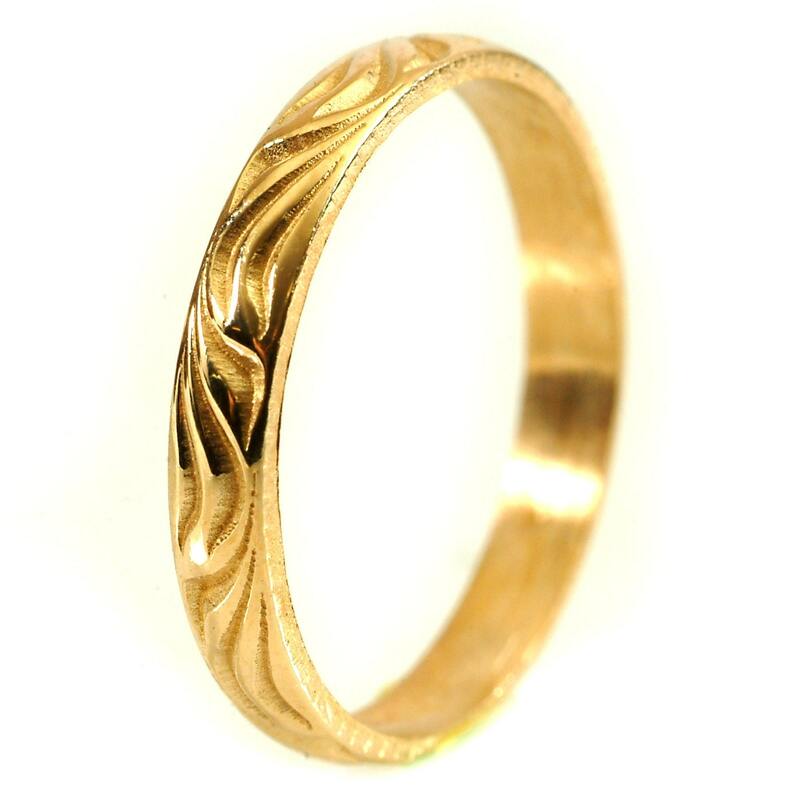 Thin gold stackable ring with flowing art nouveau design. This simple delicate ring is based on a vintage design. Makes a great gift! 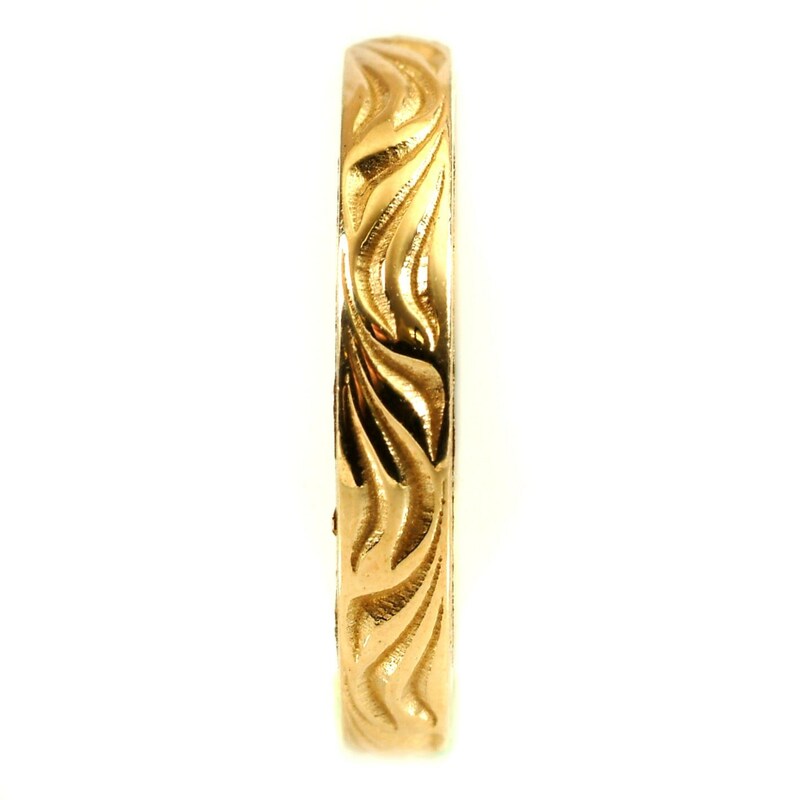 Check out our selection of rings in our stackable ring section. 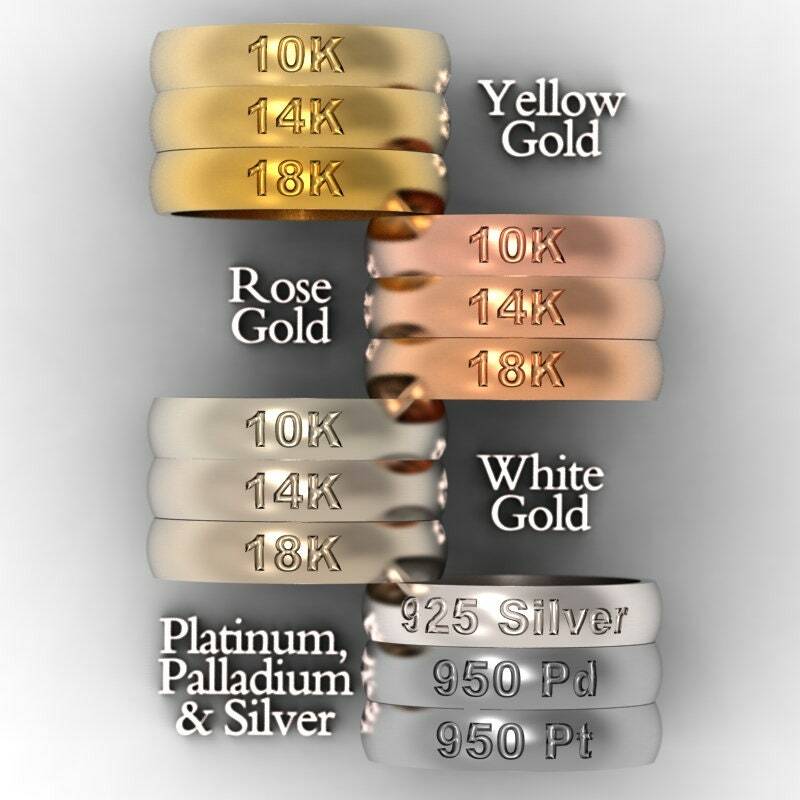 Cast in solid gold or .950 palladium, these rings are made of 100% recycled metal and your choice of gold color (either white, yellow or rose, see our color comparison photo). We can make these in either a polished or brushed finish, please let us know which you prefer when ordering. 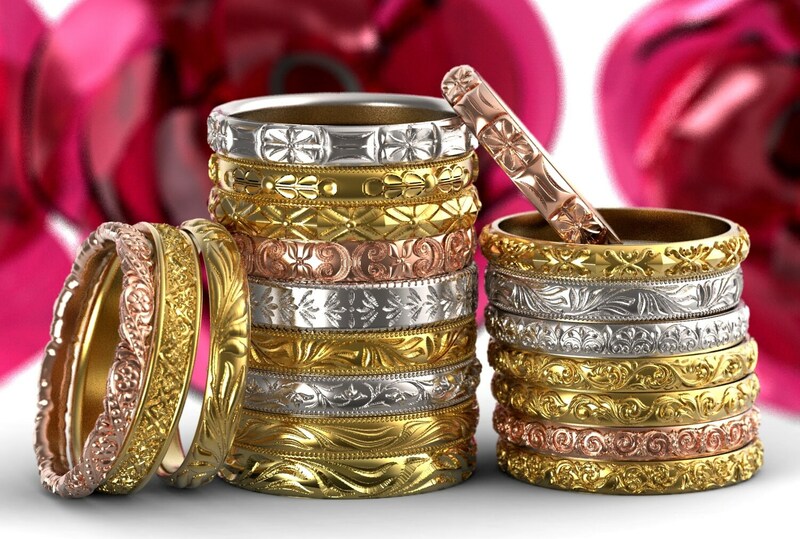 All our stackable rings are made to order, and made in your size, WE --NEED-- YOUR SIZE BEFORE WE CAN MAKE YOUR RING. 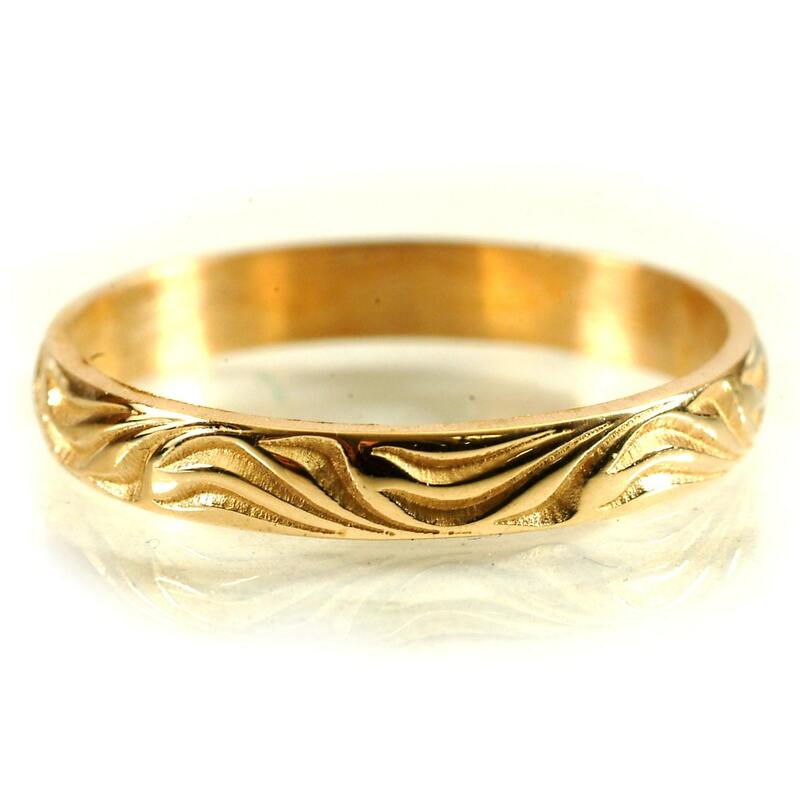 Our rings are available in 1/4 sizes from size 4 to 13, any other sizes are by special request only, please contact us if you need a size outside this range. 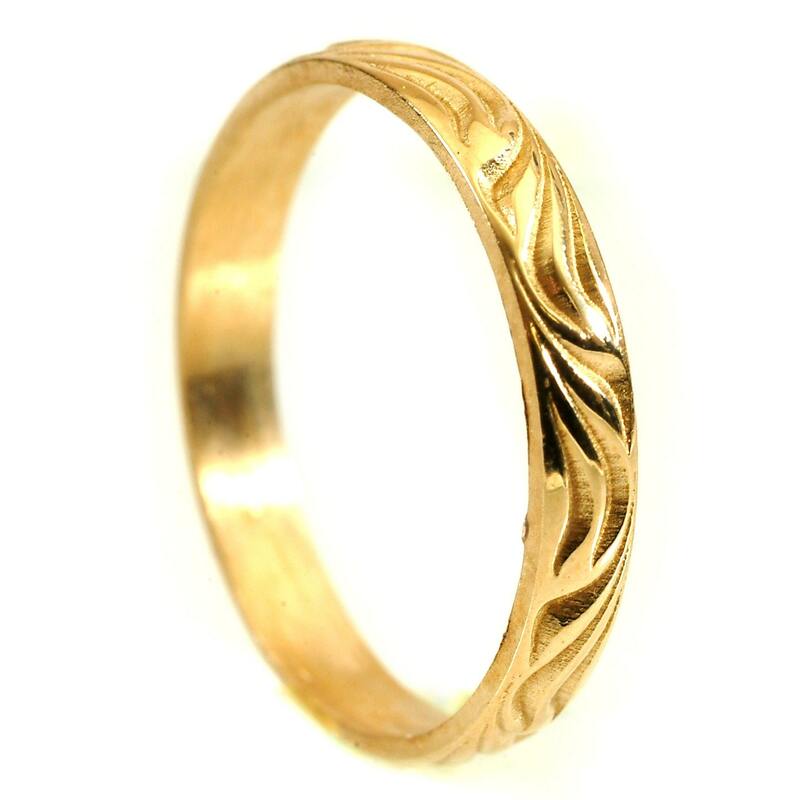 Our rings can be made in any material from Silver to 18K gold, platinum and palladium and everything in between. We have many other designs not yet listed on Etsy, if you have a request for a specific design, don't hesitate to contact us! Dimensions: Ring is 2.5mm all around, and made in your size.